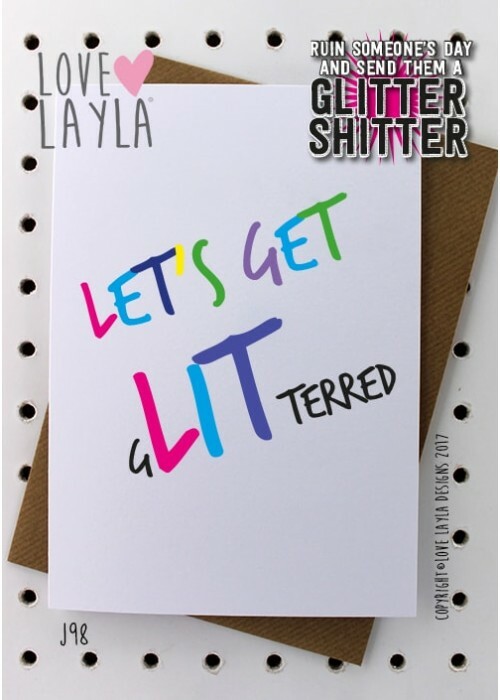 Our cards are white, uncoated (not a gloss finish) 300gsm card, A4 folded to A5, printed full colour including a Brown envelope. 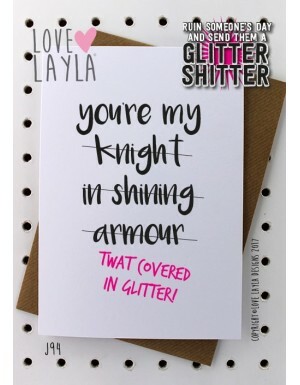 Our cards are posted in a protective envelope. 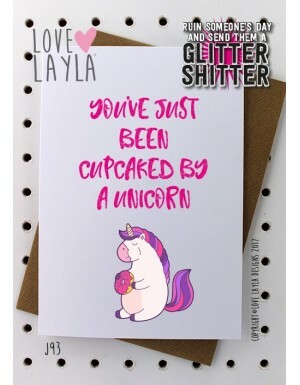 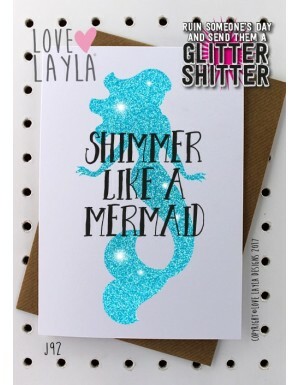 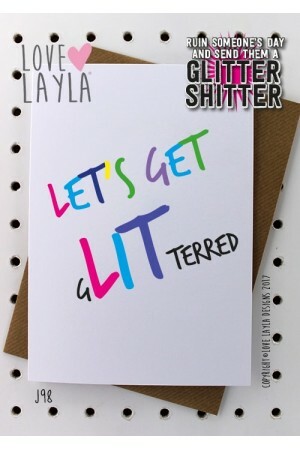 Ruin someone's day by sending them a SHITTER GLITTER - the card is sold with a small bag of glitter for you to empty into the blank card and send to your recipient.